Life is getting tougher every time and sometimes we needs a bit of prettiness in our life to get by. 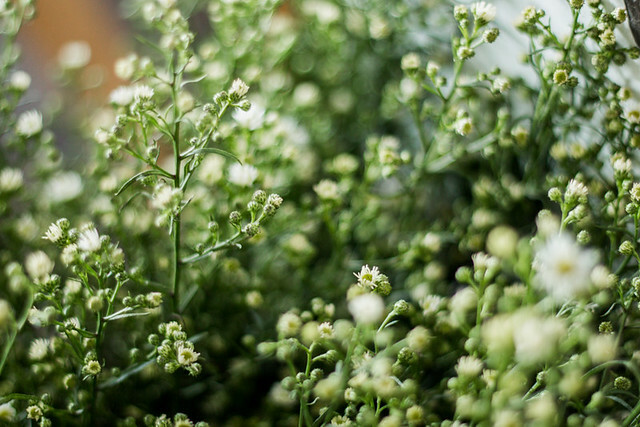 Like strolling down to the park to enjoy beautiful flora, head to the flower shop just to mesmerized by those pretties behind the glass or steal some from your neighbours’ if you’re sneaky. 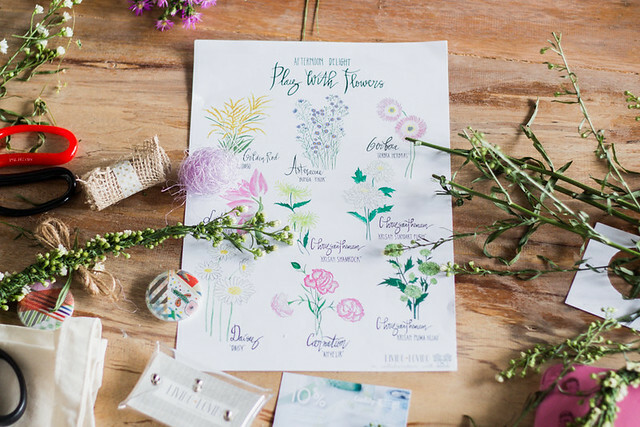 Because flowers is one of life’s more enjoyable pursuits, don’t you think? 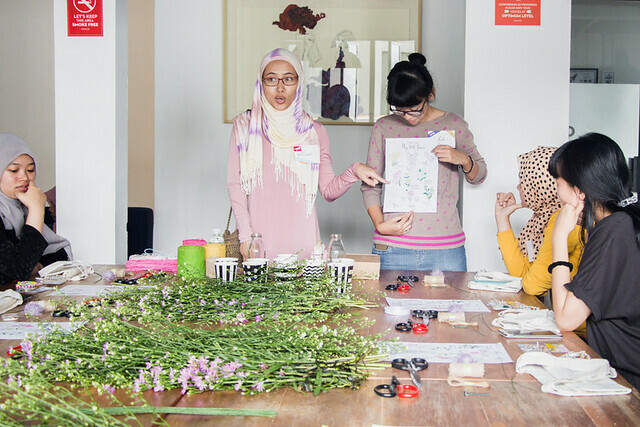 Last Saturday, lovely ladies from Living Loving along with the delightful Kitty Manu over at Kittykitz Workshop held another Living Loving’s Class entitled Play With Flowers at Co&Co Space in Bandung. 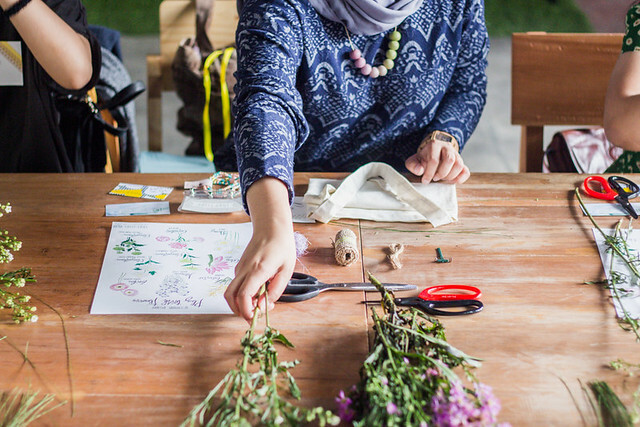 This time, Kitty shared her steps to DIY corsage and flower crowns from fresh flowers you can get from local market or even your neighbourhood. Well, I was the ecstatic one because I got the chance to learn while Oslo was happy enough to document the day. Being the only male on the class was pretty daunting to him :p. Turns out it was surprisingly simple to make those flowers creations and in the end I just want to gaze at them adoringly. Here are some of the shoots from the workshop. 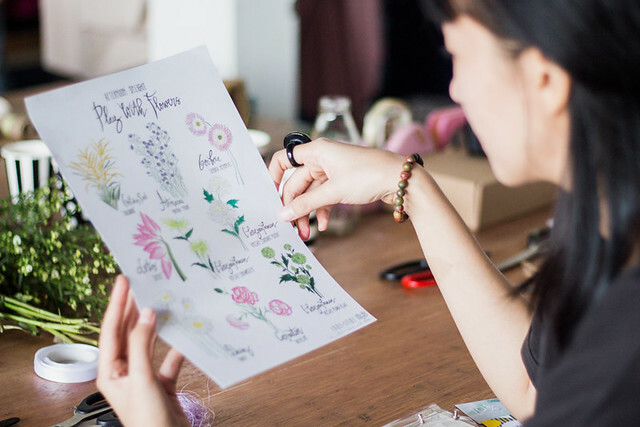 Keep your eye out for another Living Loving’s Class workshops to be announced, we know it’s going to be exciting.